So yeah I just realized I haven't blogged in like FOREVER. I refuse to blame myself! 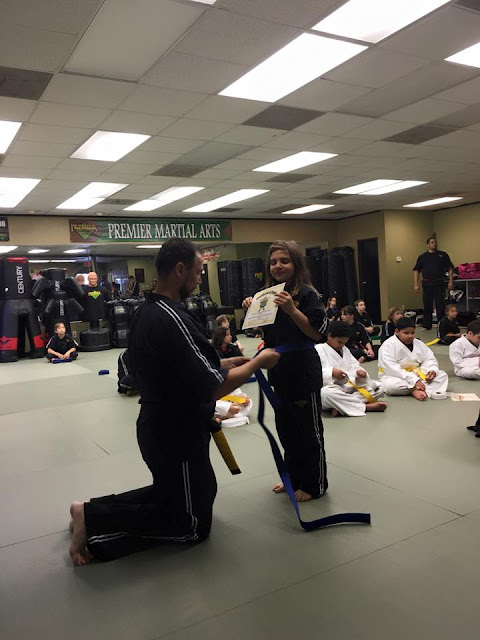 Bella graduated to blue belt last Saturday! 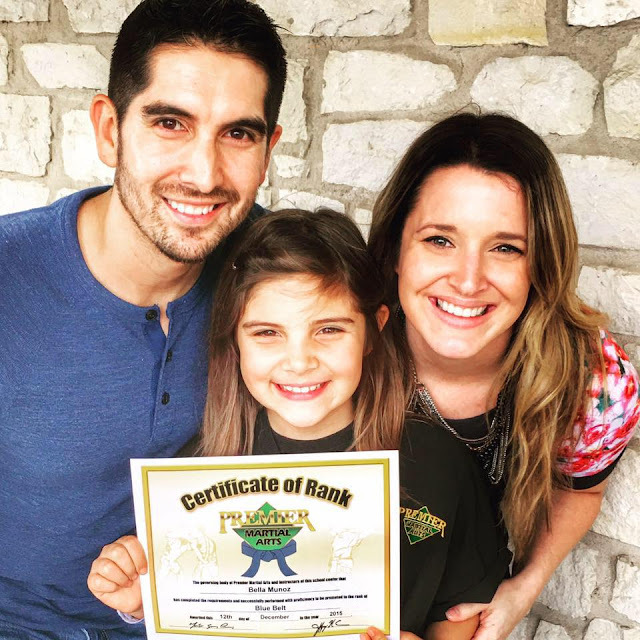 We are so proud of her & sticking to martial arts for a year now! She's hoping to be a brown belt by June! turns out I love it! I swear it looked good when we left the house! In other news, Eric & I both took next week off completely. Bella's out of school so we decided to have a full week together to celebrate Christmas. finishing up by going to our church service Christmas Eve. Gateway Church here in Austin is amazing! It's funny how many people we know go there because it's just such an awesome service each and every time we go. Christmas Eve services are THE BEST! New Year's this year will be nice and quiet. and having a great time going into 2016! 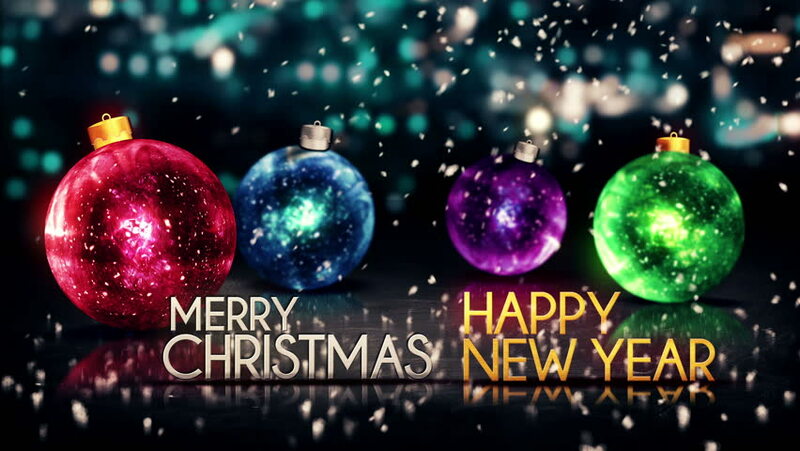 We hope everyone has the best Christmas & New Years! Enjoy it & can't wait to see what 2016 has in store for everyone!